Are you looking for a cheap Las Vegas hotel? We think we're "budget" even "super budget" but if you want to put that "cheap" shoe on our foot, we'll wear it. By comparison to any other Las Vegas hotel near the Las Vegas Strip, then yes, we're a cheap Las Vegas hotel. 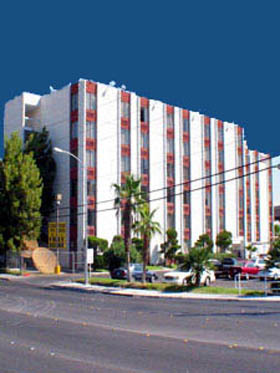 In fact, we are the cheapest Las Vegas Hotel that is within one mile of the Strip! The cheapest Las Vegas hotel could hardly boast of being a destination hotel for the rich and famous. Nobody comes here to see and be seen. Rather, this is the perfect near the Las Vegas Strip hotel where you take a shower, get dressed, go out, party, come back late, fall into your bed, sleep. Exactly what your should expect from the cheapest Las Vegas hotel. Should you tire of the Las Vegas Strip scene, you are more than welcome to let-your-hair-down in our lounge; have a beer or glass of wine; sing along with the karaoke crowd or listen the the guy tell his latest epic story to the bartender. You might want to replenish your electrolights with some regular food and drink in our comfortable, low key, Golden Palm cafe. Really, sometimes low key is the perfect antidote to a night out on the Strip. Or, lay out by the pool. Its private and secluded. You probably won't be discovered by a hollywood movie mogul there (although you might be surprised...) but it's nice, and a relaxing escape from the "Oh, I'm so Hot" fair [pun intended]. We appreciate all the reviews and comments some of our guests have taken the time to make. There are some good reviews about Golden Palm Hotel Casino. Out of a mix of reviews with varying degrees of opinions, the good reviews almost always highlight our location and low rates. Those reviewers didn't compare our aesthetics to Caesars Palace, Mirage or Mandalay Bay hotels. They didn't even expect an Excalibur, Harrah's or The Palms class hotel before they got here...not at $29 per night! So, if your expectations don't go beyond what anyone should expect of a budget/cheap Las Vegas hotel, you've found the right accommodations for your stay in Las Vegas. But, if your expectations of a cheap Las Vegas hotel fall into the "WOW" range, then you might want to increase your travel budget by a factor of say 3 to 20, and check the rates at some of the more prestigious Las Vegas Strip Mega Resorts. Or better, let the Golden Palm Hotel Casino provide you with adequate accommodations so you can spend most of your travel budget on food and entertainment instead. WOW, now that's worth bragging about! Are our room rates always $29 per night? No, of course not. 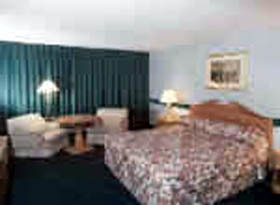 Our rates range from $27 to $79 per night, depending on weekday/weekend, occupancy and demand. Special events, convention periods and holidays can drive the rates up higher. Do we sell out? Absolutely we do. Does our hotel get crowded and noisy when it's full. Yes, of course it does; this is Las Vegas Baby! Do weekends sell out more often than weekdays? Yes, always, and so far this year we've been sold out every weekend. We don't see that trend changing anytime soon. So, what's the point? The point is, BOOK EARLY! 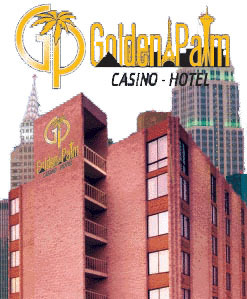 Use this web site where THE lowest room rates are available for the Golden Palm Hotel Casino. You won't be sorry, unless you want bragging rights for spending 3-20 times as much. Yes, we know you'll be spending most of your time and money at all those other fabulous Las Vegas hotels. We know you'll be coming back to us late. We know what happens here stays here... We know! We know! Our lips are sealed. We also know our cheap Las Vegas hotel room rates make spending and gambling your money away elsewhere last longer. One thing is for sure, we are happy to have you stay with us, which might be a wee bit refreshing after tasting the impersonalization the Las Vegas Strip happens to also be famous for. We ARE your Gateway to Adventure in Las Vegas!